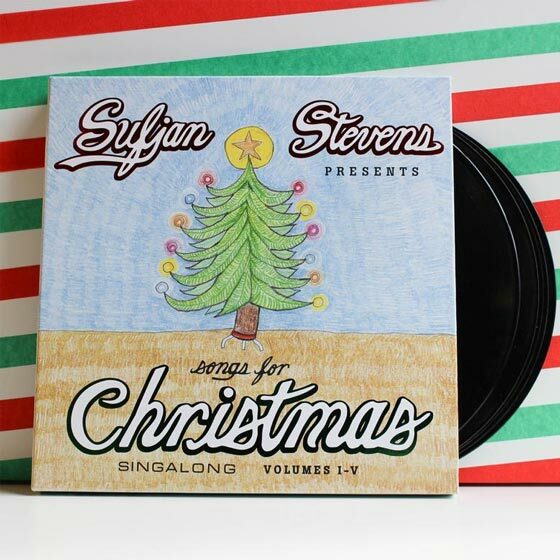 Fans of Sufjan Stevens have long held his 2006 Songs for Christmas collection as the reason for the season. Now, they'll be able to enjoy the holiday tracks on wax with the effort's first-ever vinyl release. Songs for Christmas will arrive on vinyl for the first time November 9 through Asthmatic Kitty. The collection spreads Stevens' 42 holiday songs over five discs, each arriving in individual sleeves printed with lyrics and song charts. A reissued CD box set will present the album as a 5-CD release, complete with stickers, a poster and songbook. Both versions are available for preorder here. Stevens reissued 2006's The Avalanche on wax earlier this year. His music for Luca Guadagnino's critically acclaimed film Call Me By Your Name was also pressed to peach-scented wax in June.